SERVPRO has what it takes to restore your fire damaged home. Cleaning up property after a fire incident is essential to remove debris and other wastes left by the fire. A home is no longer a comfortable place with such debris spread all over its confines. Restorative cleaning, on the other hand, provides a cheaper fix compared to replacement. There is a need to take several steps for a proper cleaning exercise in Phoenix. Flames and heat scorch many items leaving a considerable amount of debris to deal with during fire cleanup in Phoenix. Collecting and removing the items from the property is not difficult. However, some items might only be covered in soot and not physically damaged, so it is necessary to sort them to avoid throwing out salvageable items. Our SERVPRO technicians sort the affected contents into groups of salvageable, unsalvageable and questionable items. We dispose of unsalvageable items then clean up the questionable and salvageable ones. 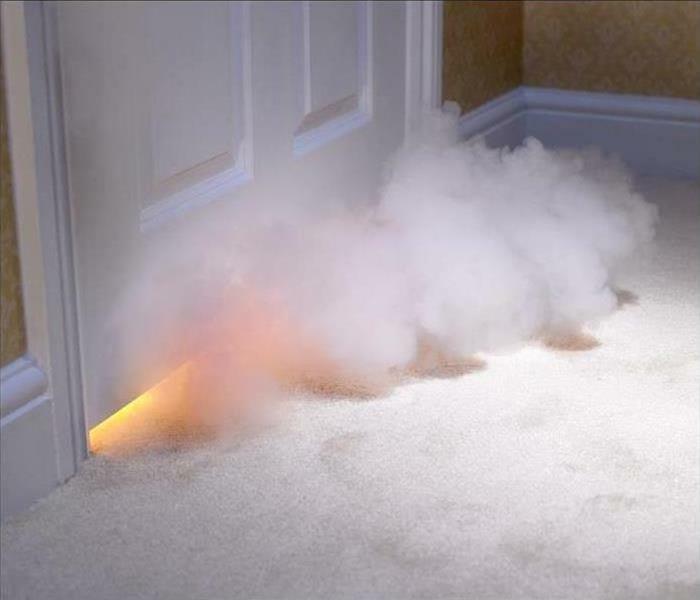 Smoke residues accumulate on various surfaces. Sometimes they also penetrate beyond the surface because the heat from the fire opens up pores allowing convection currents to drive them further. Capturing and removing such residues requires different actions including agitation, chemical action and in some cases temperature to speed up the process. Our SERVPRO technicians use dry cleaning methods such as wiping with a sponge or vacuuming the affected areas. We also use wet cleaning approaches that utilize professional cleaning agents and equipment such as pressure washers. It is common for bad odors to linger after cleaning up fire-damaged properties. In some cases, it is possible to remove the smell by ventilating the property. However, most cases require elaborate deodorization efforts. Our SERVPRO technicians combine multiple approaches to deal with all malodors. We can spray chemical deodorizers directly on odor causing materials to prevent odor molecules from escaping into the air. Fogging the affected property helps release deodorizers in tiny particles, which penetrate materials just like the malodors and then neutralize them by changing their chemical composition. We also use special deodorization equipment such as Ozone and Hydroxyl generators. To make your property habitable again after fire damage, call SERVPRO of East Phoenix to help you clean it up. You can reach us at (602) 507-6163 any time. We're Faster To Any Size Disaster. Read more about Phoenix here. Don't try and fix things yourself this can lead to more damages in your home. Our certified technicians are available 24/7 to help you. Phoenix homeowners rarely consider water a disaster. Lack of water and the sun turning their home to ash in the summer, yes, but never have so much water that it damages their home. Phoenix homes are as vulnerable to faulty plumbing so water damage does happen. When it does, SERVPRO response teams can return them to a dry, clean condition, ready for occupation once more. After removing any standing water, our team members look more closely at floors and walls. 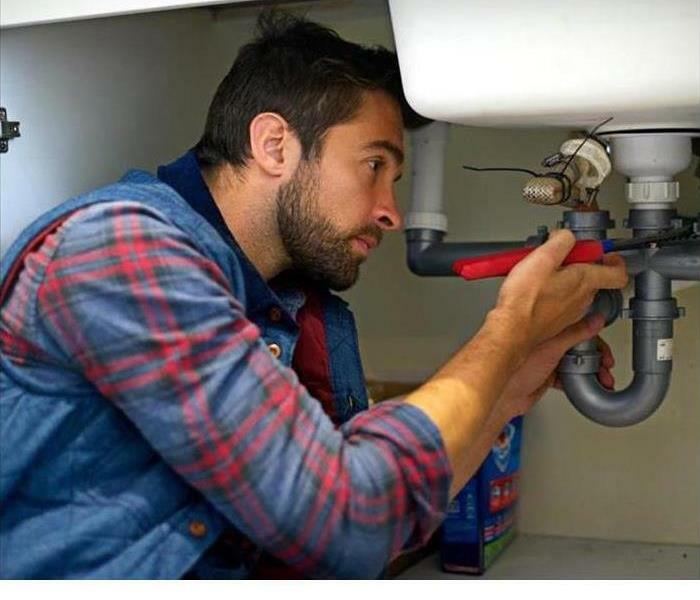 Most plumbing problems do not put a large amount of water across the home, but if it happens over a weekend or longer period when no one is present, wood floors and other materials can absorb enough to cause them to warp, crack, and crumble after water damage. A wood floor can be a beautiful aspect of any home interior, but it can be at risk. SERVPRO technicians use a moisture meter to see if there is too much water and if there is, takes steps to remove it. They lift boards to use a hose and vacuum to draw out any water trapped in the sub-floor. After that, they dry any affected floorboards with two devices, a dehumidifier, and an air mover. With the dehumidifier, they carefully draw moisture out of the surrounding air. Reducing the humidity level increases natural evaporation. Technicians can adjust the temperature and flow of the air mover to force out moisture from the wood without causing any splitting or cracking of the wood. For walls, our team members often have to remove and replace drywall panels when they absorb too much water. It is an excellent building material, but panels can dissolve and crumble in place when they become soaked. If they did not absorb too much, our technicians direct the flow of an air mover across the panels to carefully dry them while still in place. If needed, technicians remove the floor trim and drill holes to allow for water drainage and then use a hose to direct the flow from an air mover behind the wall to dry out both the panels and the wall framing. These first steps help SERVPRO of East Phoenix return every home to a safe, livable condition once more. If your water heater failed, or a pipe split recently, call us at (602) 507-6163 so we can do the same for you. There are more than 200 miles of trails to enjoy in Phoenix click here for more information. Team SERVPRO can help homeowners with all aspects of fire damage remediation including the insurance claims. Call us today. Fires can present many effects throughout your Phoenix home that are too challenging for homeowners to address on their own safely. With a rapid response from trained professionals like ours, we can offer effective mitigation solutions that can not only reduce the time restoration as a whole takes to complete but also reduces your out of pocket expenses. As a full-service company, we can offer effective mitigation, reconstruction, and restoration, ensuring that all phases of fire recovery happen immediately following the last through the completion of the project. One of the most challenging aspects of fire damage restoration in Phoenix for many homeowners is the red tape of getting a damage claim approved through their insurance provider. Our SERVPRO team can also help in this regard, as we are preferred restoration specialists for many of the insurance companies throughout our area, and have worked closely with all local and major insurance companies to help our customers get the restoration and mitigation work their properties require. It is often recommended to reach out to our SERVPRO professionals even before you speak to your insurance provider about filing a damage claim. Our estimator and IICRC-certified restoration technicians can arrive quickly, 24-hours a day, to begin a thorough inspection and assessment of your damaged property. 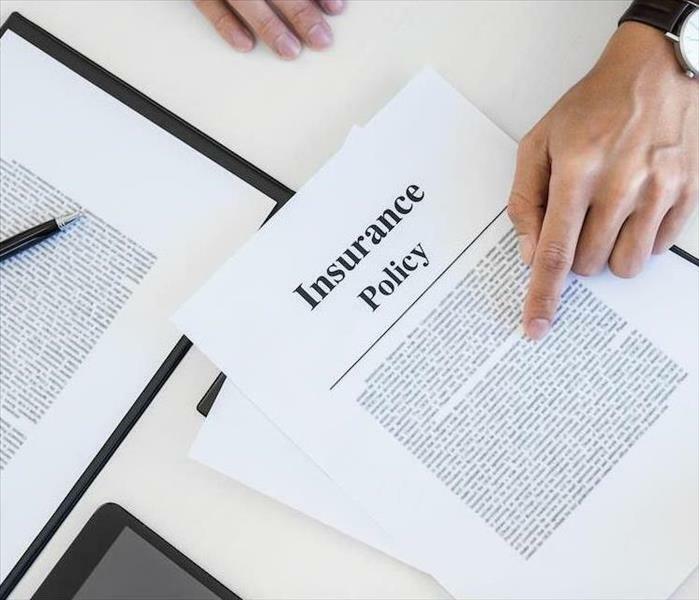 By cataloging both damages and loss, as well as taking photographs as evidence of the present damage, our team can provide your insurance company with the documentation required to approve a damage claim you file. In addition to helping the claim to get more quickly approved, we can begin mitigation work in your home immediately with our initial arrival. This approach ensures that you and your property do not wait for the effective mitigation that can protect contents and unaffected areas of your home that could become damaged in the time after extinguishment. Many steps are necessary to restore your home after a fire, but with the right help from qualified professionals like our SERVPRO of East Phoenix team, things can happen much more quickly. If you want to make fire damages “Like it never even happened.” give our rapid response team a call 24/7 at (602) 507-6163. Click here to learn more about the city of Phoenix. Fire can leave behind a significant amount of smoke and residue damage, some of which appears as though it may be beyond repair. However, it might help to know that with the right equipment and training, a professional restoration technician can remove damage from a majority of the contents in your Phoenix home, preventing loss and efficiently returning things to normal after an accident occurs. If you live in the Phoenix area and find yourself suffering from fire damage on your property, we can help. Our FST technicians specialize in the restoration of your property and belongings after a fire, making it easier for you to get the help you deserve as quickly as possible. We also work with your insurance company and assist you with filling out required paperwork for your claim, relieving stress involved in incidents such as these while providing you with caring professionals who are on your side. Whether you have a small fire in your kitchen or a significant structural fire, SERVPRO’s IICRC-industry certified technicians can perform a variety of services that help get things under control fast. Our services go above and beyond, we pay close attention to personal belongings and perform any necessary repairs to complete the job as quickly and efficiently as possible. We can also provide a pack-out service to store and clean your possessions off-site. With qualified professionals in every field, SERVPRO provides you with a full-service solution to fire damage on your property. We use cleaning and restoration methods designed to remove smoke and soot residues before they have a chance to cause further damage to surfaces found in your home. Your walls, floors, ceiling, furniture, cabinets, and other contents all receive the proper attention needed to return them to a quality pre-damage condition. "Like it never even happened." Your local SERVPRO has an entire Green Fleet, fully stocked, ready to deploy at a moments notice, making our 24/7 emergency service, Faster To Any Size Disaster. Our technicians take pride in providing each member of our local community with the assistance needed to recover quickly, helping you make informed decisions that reduce your stress while saving you money and disruptions. Come and visit Phoenix here. After discovering mold on your Phoenix area property, you might wonder if calling a professional remediation company is necessary, or if everyone is over-reacting. Well, considering that some species of mold can cause health effects, we tend to lean more towards dealing with the problem quickly, rather than leaving anything to chance. Mold damage can make your Phoenix-area property look more like a war zone than a happy home and the longer you wait to address the situation, the longer the remediation process can take. Under some circumstances, you may even find yourself looking for temporary housing, which would leave anyone annoyed, depressed, and concerned. Unfortunately, the dangers are real. Even though mold is a naturally occurring fungus, used by our environment to recycle a variety of materials back into our ecosystem, larger concentrations may cause harm. Mold only needs water, air, and a food source to begin a growth cycle in your home, making it somewhat easy for this problem to exist. Since oxygen is everywhere and your home is made up of several organic materials, it only takes a small water leak, spill, or accident to get things started. SERVPRO technicians help you understand how to make your home healthier, by improving ventilation and controlling the relative humidity found in your home. Your indoor humidity level should remain below 50% at all times, even when you are on vacation or away for extended periods. You can avoid spending considerable amounts of money having your home tested for mold. The species of mold that exists in your home is not relevant regarding remediation. It is better to have your home inspected by a qualified professional, like SERVPRO’s IICRC certified mold remediation technicians, who have the personnel, equipment, and experience to show you where mold starts and help you learn how to react if or when you find it. 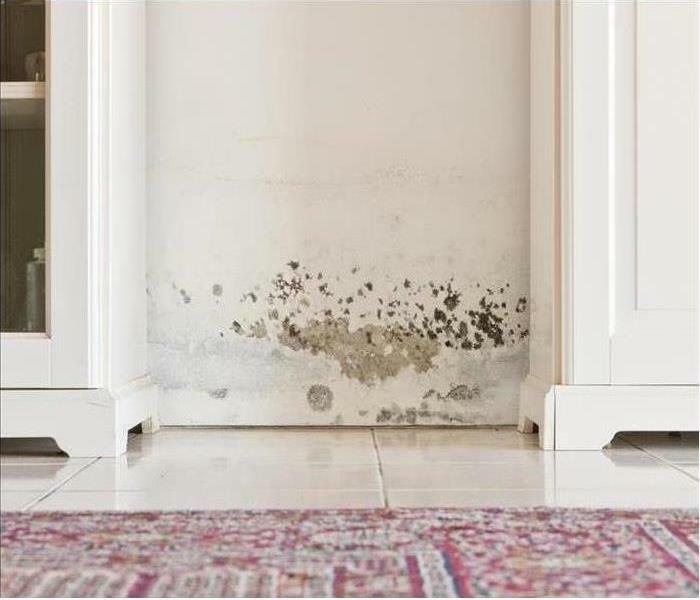 SERVPRO mold remediation services help you control your indoor living environment and prevent mold growth from returning. If you contact us at the earliest signs of mold growth in your home, you can ensure minimal disruption to your daily life. Visit a great local zoo by clicking here. Whether it is a residential or commercial property, water damage can be very frustrating, and you need to remove it promptly. Ensuring your residence is completely dry when you are not working with a company like SERVPRO can be challenging. Phoenix has encountered a lot of water removal problems in the recent past. These issues often disrupt your daily operations and the comfortable feeling of your premises. You may have tried to contain this problem on your own and quickly found out how frustrating that can be. The secret lies in using the right equipment which you probably do not have stored in your garage. At SERVPRO, we use a lot of air moving equipment because of their effectiveness. Let us take the example of water removal from your carpet, any other method can take a lot of time and may not produce good results. The air movement equipment, however, increases evaporation primarily by creating airflow on the surface level, forcing the moisture into the air and capturing it with dehumidifiers. This process is not only safe and reliable, but also pretty fast. Apart from the type of equipment we use, the chemical products at SERVPRO are safe and environmentally friendly. Some of the chemicals you use at home are also not active enough to kill all the different varieties of bacteria and fungi. You need professional service to ensure your premise is cleared of any impurities and does not affect your health. One of the primary reasons why water removal is a nightmare to many is the lack of a reliable extraction equipment. 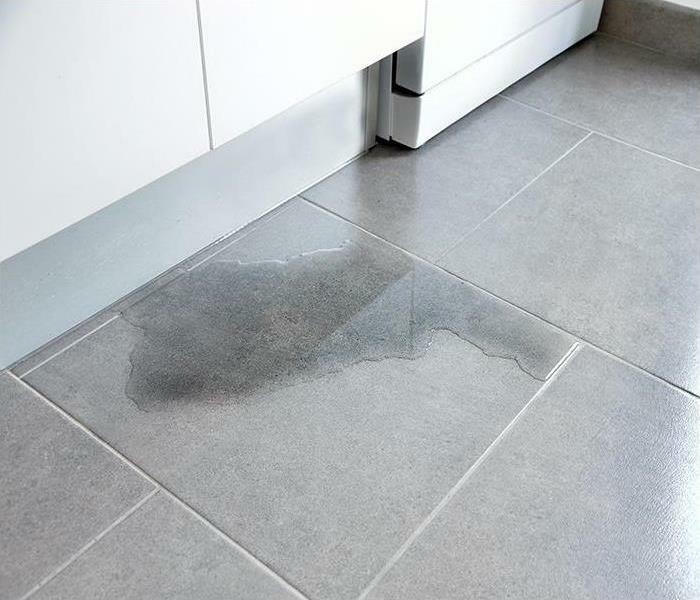 Naturally, the first step to cleaning is removing water from your floors. Extractors from SERVPRO included wet-vacs, portable pumps and truck-mounted equipment for large volume extraction. The portable extractor is excellent for accessing areas that are hard to reach. SERVPRO of East Phoenix is your best solution as far as water removal is concerned. With our qualified staff, you are guaranteed excellence services at the best possible price. Call us today at (602) 507-6163 and let us take care of your water removal needs. Information on this city click here. 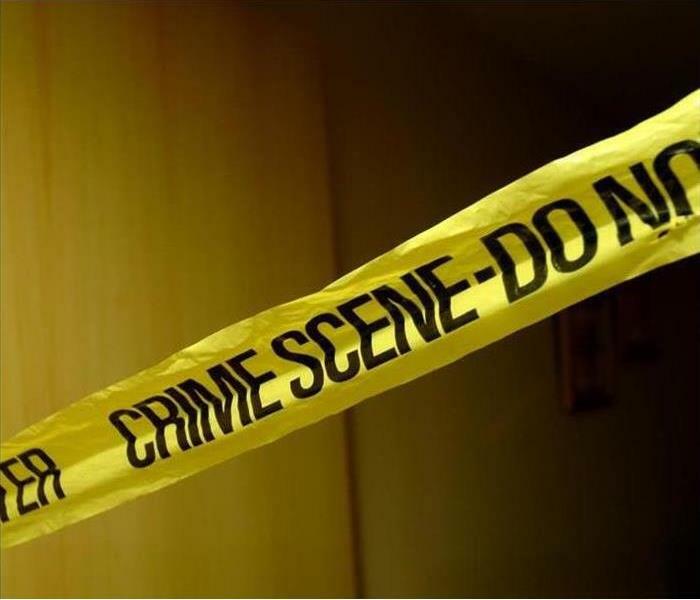 Violent crime is increasing in many areas of the Nation, and statistics are beginning to point toward more and more families having someone close to them be a victim of senseless, brutal criminal activity. When a person is murdered, or just simply dies alone, the immediate area can be left in a highly contaminated state. Surviving family members in Phoenix need professionals who can empathize with their pain while providing the necessary services inherent to crime scene cleanup procedures. Without both of these factors, families can suffer for longer, more intense periods than families who find professionals who help them cope with the complex and harsh realities of the immediate situation. We train our technicians to be more than the average professional restoring homes and businesses. They understand that it is vital always to give those left behind by the death, particularly a violent and unexpected one, of a loved member of their family, the compassion they need and deserve. To do otherwise would create an additional injury for the grieving family members. Moreover, we are also members of this community. Minimizing the amount of confusion that cleaning up after the police and coroner's staff have left can often be aided by having one specific person on our team designated to both inform the family of any new developments and answer any of their questions. The death (if there was such an unfortunate occurrence), the scene, strangers in and out of the home, the neighbors, distant relatives, the ongoing questions, and the emotional toll, all contribute to the stress. Cleaning the scene should be the last thing you and your family need to worry about in situations like this. The IICRC has recently published internationally accepted standards, protocols, and procedures that provide protections for affected families and technicians for use in cleaning up locations where criminal activity occurred. Moreover, other highly sensitive situations exist. While this is a newly published document, the contents were largely known to those companies, such as SERVPRO, with experience in handling materials that were potentially hazardous to the environment or human health. At SERVPRO of East Phoenix, we understand that losing a family member to any cause can be devastating. When that death is part of a heinous crime, the trauma and senselessness are much greater than what many realize. We can help your family by ensuring any crime scene cleanup is carried out professionally by compassionate and qualified technicians. Whenever your family needs help with a traumatic experience such as this, call us at (602) 507-6163. We are always available to answer the phone and take your call. Call us at (602) 507-6163 to learn more about or request our services. One of the important factors that can change how much fire damage to your East Phoenix home costs in repairs and restorations is how fast a team of damage mitigation professionals can get to the scene and control the situation. Sometimes, a response that takes a few hours too many can make a difference thousands of dollars later on. People nationwide trust SERVPRO franchises and technicians to arrive at their homes quickly and prevent as much damage as possible thanks to a few key advantages we have. SERVPRO crews can arrive within just a couple hours of your first call reporting fire damage to your East Phoenix home. We keep our personnel on standby 24/7 to react fast and make sure every disaster gets treated with the standards of speed and thoroughness that we have established on a nationwide scale. You can call us, and a live representative can take your call and immediately begin the response process to send help to your home. Be sure to call us as quickly as possible after a disaster to make use of our full capabilities. Why Does A Fast Response Matter? Maintaining the sort of readiness that enables us to respond quickly around the clock is neither easy nor inexpensive. However, the benefits of that readiness pay off for our clients. 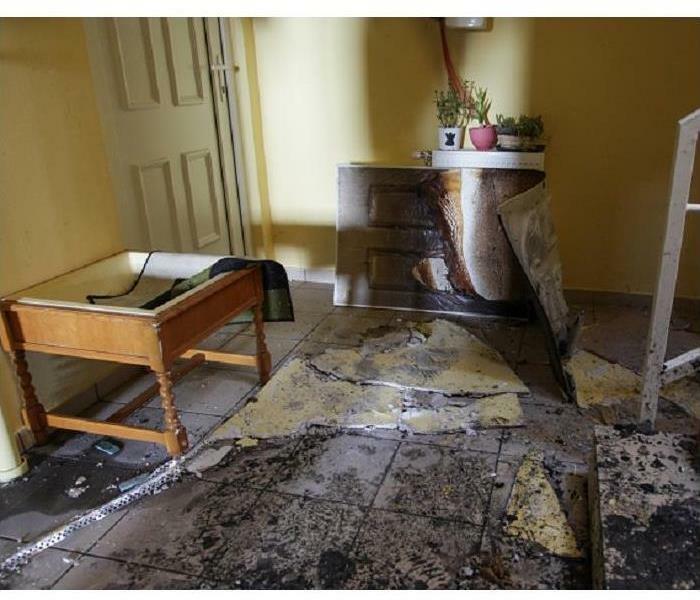 Many damaging effects of a fire, such as smoke residues and water-mixed sludges, can cause severe damage over time to your home through chemical reactions with building materials, deep staining, and many other effects. By arriving fast, we can target the most pressing damaging factors first and stop them from causing any further problems in your home. The result is a faster clean up time, fewer materials replaced, and a lower final bill. SERVPRO of East Phoenix is a locally owned and operated company with national resources that enable us to handle any variety of fire damage quickly and with minimal costs. Call us at (602) 507-6163 to learn more about or request our services. Click here for more about East Phoenix. After A Spill In Your Phoenix Home Contact Our Crew For Help! Call us for help at (602) 507-6163 for fast, inexpensive, and thorough drying and cleaning work. Rags, paper towels, and fans often do not cut it for more involved water cleanup work in Phoenix. 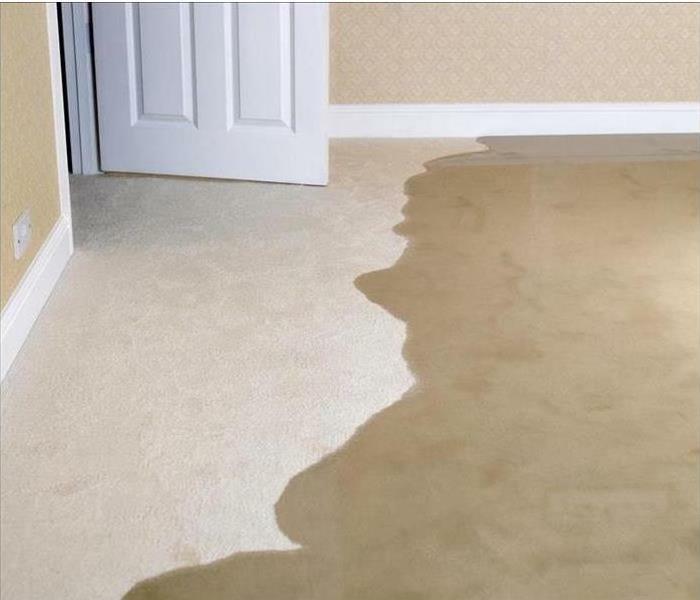 Regardless of where the water came from or why it is in your home, it can be tough to remove significant volumes of water from the area on your own and target moisture that has seeped down below the surface level of materials around the house. Companies like SERVPRO exist to bring the industrial-strength tools and techniques necessary to clean up after significant amounts of water find their way into your home. We deal with water cleanup tasks in Phoenix homes on a day-to-day basis, helping residents with all sorts of problems ranging from minor leaks to massive and disastrous flooding. We can bring in industrial strength drying equipment such as air movers, water extraction pumps, and high-capacity dehumidifiers to remove all traces of excess moisture from the area. However, even dry homes often require specialized and expensive tools to reduce further and eliminate signs of damage in the area. SERVPRO technicians train to high-level national standards to reverse many of the ways water can damage your home, from simple work such as color correction and repainting to more advanced techniques such as stopping and pushing back the warping of floorboards. SERVPRO is ready 24/7 to ensure that we can provide local homeowners with fast responses at any time of day. The faster we get to your home after a leak or spill, the more damage we can prevent and the fewer items you may have to replace and rebuild in the coming weeks. You should call us whenever you feel that the amount of water in your home cannot be handled quickly by you and whatever cleaning materials you have available, and as soon as possible after a disaster happens. SERVPRO of East Phoenix performs water cleanup services for local homes on an almost daily basis throughout the year. Call us for help at (602) 507-6163 for fast, inexpensive, and thorough drying and cleaning work. Mold damages everything it touches. Call SERVPRO of East Phoenix to remediate your mold. You should always seek professional mold remediation services for your clothing store in Phoenix as soon as possible after you identify signs of fungal growth. Some types of mold can cause health effects, so to avoid health code violations and keep customers feeling safe and welcome in your store, you should never ignore the problem and hope for it to go away on its own. SERVPRO provides fast and thorough mold remediation services for businesses in need. Through several cost-saving measures, we can keep expenses low and restoration times fast to help your business quickly recover. One unique aspect of mold remediation for clothing stores in the Phoenix area that we have encountered before is the possibility of widespread mold damage in the store's inventory. While garments free of growth do not need washing, those that have been touched by mold must be either washed or thrown out. Our industrial washing machines can handle this task quickly and at minimal cost, potentially eliminating some of the financial losses from tainted items. Our SERVPRO inspectors can evaluate the building quickly to determine how far the mold has spread. Both through their experience built over years of identifying and treating colonies and our new moisture detection tools such as infrared scanners, we can paint an exceptionally detailed picture of the infestation, even if it lies primarily behind walls and in other places hidden from view. Every time we take on a mold remediation project for a local business, we understand that we must race against the clock to ensure that doors reopen with as little delay as possible to keep revenue coming in and the company afloat. We waste no time in removing all signs of infestation from the area, from physical growth on surfaces to the sometimes overwhelming smell that some species of fungi can produce. We also make sure never to let speed impede the thoroughness of our work, and we take care always to use sanitizing equipment such as UV ray projectors to return the area to a safe and secure place for customers and employees alike. SERVPRO of East Phoenix stays ready on a 24/7 basis to help out local businesses that discover signs of mold damage on their premises. Call us at (602) 507-6163 for our services or a quote. Click here for more information about Phoenix. 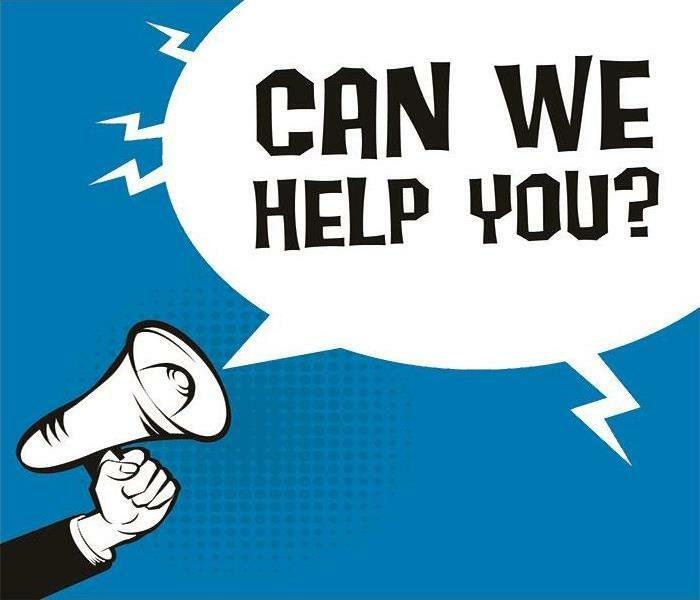 3/7/2019 - After A Spill In Your Phoenix Home Contact Our Crew For Help!